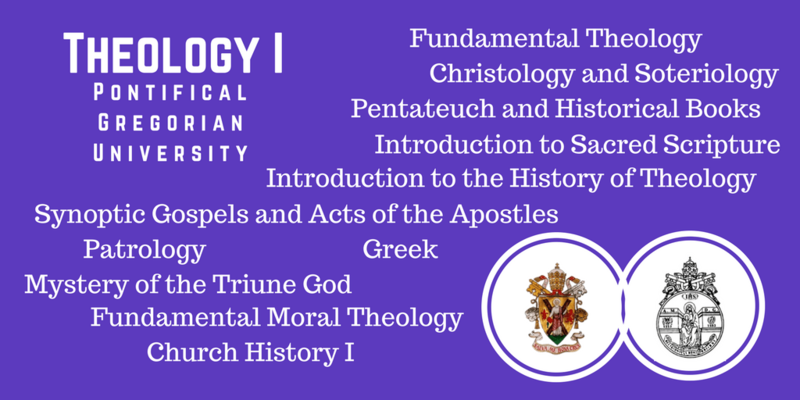 Candidates for the priesthood must prepare themselves with diligent attention by deepening their knowledge of the philosophical and theological sciences, with a good introduction to canon law, social sciences and history. This preparation seeks “to give reason for hope” (1 Peter 3:15), to allow Divine Revelation to become known and “to bring all peoples to the obedience of faith (Romans 16:26). Seminarians at the Pontifical Scots College in Rome attend one of two pontifical universities in the Eternal City for their philosophical and at least their initial theological studies. 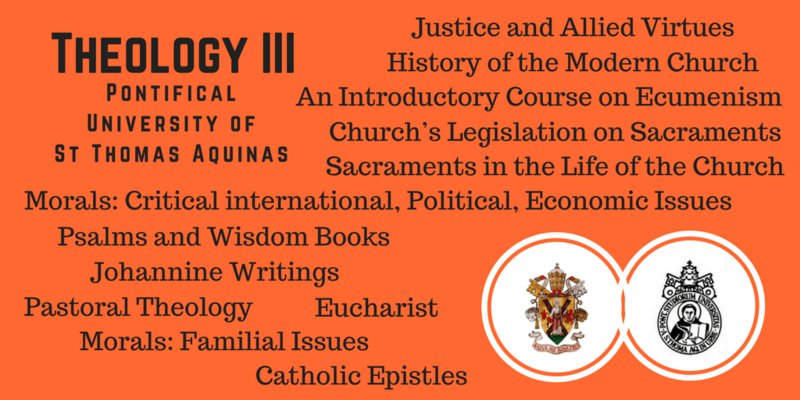 The first two years are spent studying philosophy at the Pontifical University of St Thomas Aquinas (also known as the Angelicum, after St Thomas, the Angelic Doctor). 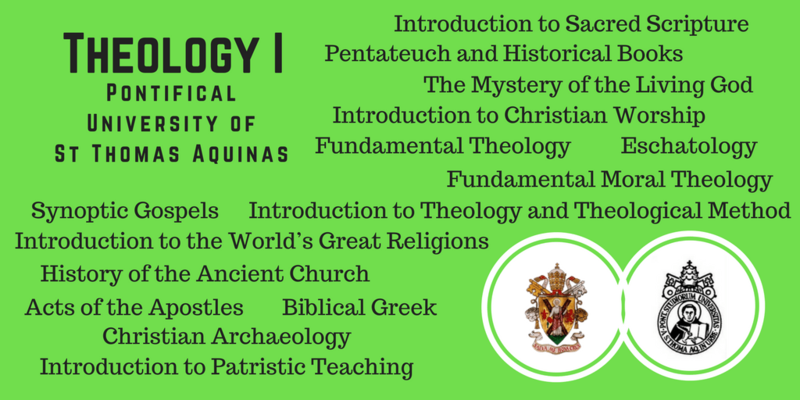 The university is run by the order to which St Thomas belonged, the Dominicans, who also teach many of the courses. 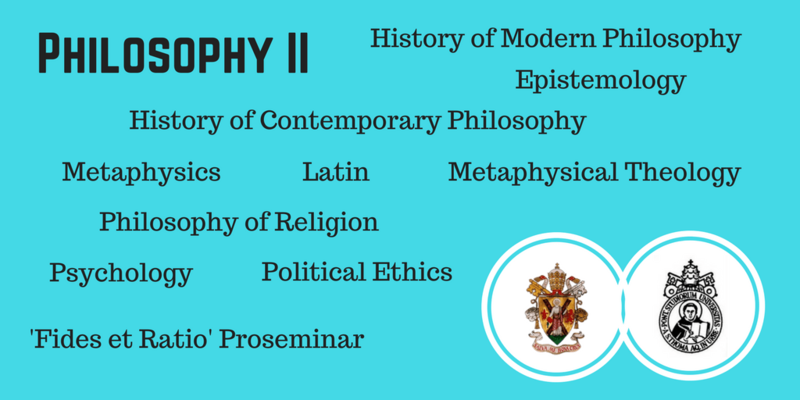 However, there are also courses delivered by other professors (both clergy and lay) who are experts in their respective fields. All classes are taught in English. A crucial stage of intellectual formation is the study of philosophy, which leads to a deeper understanding and interpretation of the person, and of the person’s freedom and relationships with the world and with God. A proper philosophical training is vital, not only because of the links between the great philosophical questions and the mysteries of salvation which are studied in theology under the guidance of the higher light of faith, but also vis – a – vis an extremely widespread cultural situation which emphasizes subjectivism as a criterion and measure of truth: Only a sound philosophy can help candidates for the priesthood to develop a reflective awareness of the fundamental relationship that exists between the human spirit and truth, that truth which is revealed to us fully in Jesus Christ. The role of philosophy in the studies of a candidate for the priesthood is not limited to serving as a basis for theological studies and to counter the prevailing cultural subjectivism. Pope St John Paul II also highlighted, in the same document, that philosophy is something which will continue past the two years of dedicated studies of the subject. Instead, it will have a constant role to play throughout seminary and into the years of priestly ministry. Nor must one underestimate the importance of philosophy as a guarantee of that “certainty of truth” which is the only firm basis for a total giving of oneself to Jesus and to the Church. It is not difficult to see that some very specific questions, such as that concerning the priest’s identity and his apostolic and missionary commitment, are closely linked to the question about the nature of truth… If we are not certain about the truth, how can we put our whole life on the line, how can we have the strength to challenge others’ way of living? The study of theology for seminarians at that stage in their studies is not solely dedicated to learning the message of the Bible. Again, Pope St John Paul II developed the importance of the subject for the seminarian in Pastores dabo vobis. Theology moves in two directions. The first is that of the study of the word of God: the word set down in holy writ, celebrated and lived in the living tradition of the Church, and authoritatively interpreted by the Church’s magisterium. Hence the importance of studying sacred Scripture “which should be the soul, as it were, of all theological the Fathers of the Church, the liturgy, the history of the Church and the teachings of the magisterium. The second direction is that of the human person, who converses with God: the person who is called “to believe,” “to live,” “to communicate” to others the Christian faith and outlook. Hence the study of dogmatic and moral theology, of spiritual theology, of canon law and of pastoral theology. 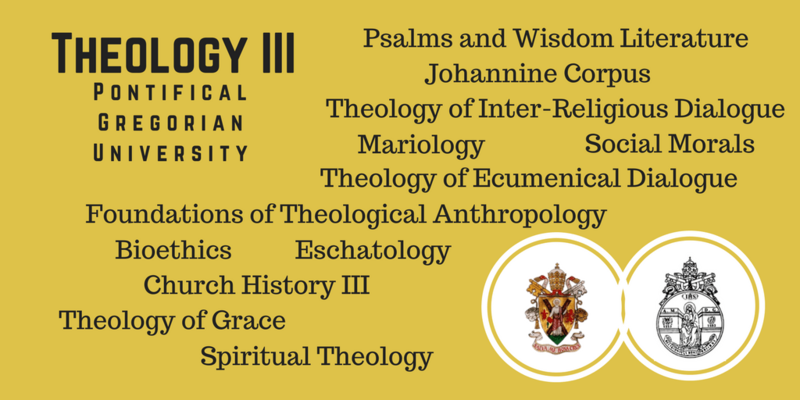 Currently, the program at the Scots College lays out three years of study for the Sacrae Theologiae Baccalaureus (STB); upon receiving this degree, the seminarian completes the first cycle of theological studies. The second cycle consists of participation in the Licentiate program, and it ends when he attains a licence. This qualification is similar to a Masters qualification; it offers the seminarian, by now accepted as a Candidate for Holy Orders by the Church, the chance to specialise in a particular field of theology, philosophy or canon law. 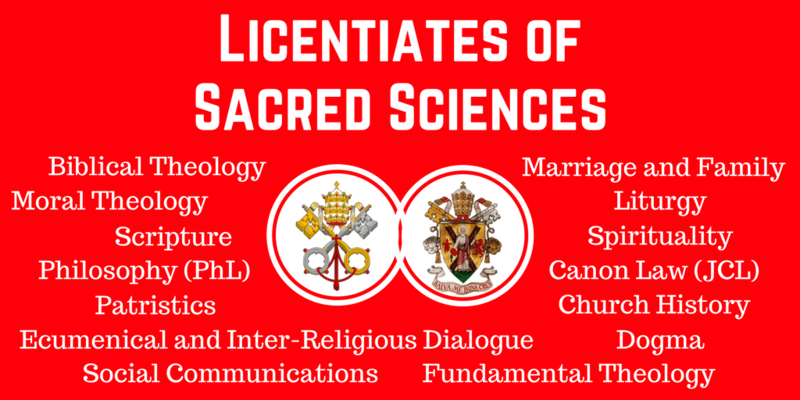 With this specialisation, some will move to other pontifical universities, faculties and institutes. Licences have a special role within the Church: the holder of such a title may teach in Church colleges, universities and seminaries. However, the priest is also able to act as a theological resource in his diocese and for the Church in Scotland as a whole through the Bishops’ Conference. The new ratio concerning priestly formation identifies the role of men who complete their licentiate studies. It is indeed true that the living magisterium of the Church and theology, while having different gifts and functions, ultimately have the same goal: preserving the People of God in the truth which sets free and thereby making them ‘a light to the nations.’ This service to the ecclesial community brings the theologian and the magisterium into a mutual relationship. Whilst each university and institute has its own academic timetable, the studies generally begin on the first Monday of October, unless that Monday is the first day of the month. After a two-week break at Christmas, exams take place over a three-week period from the end of January until the middle of February. The second semester begins in the middle of February and ends around the end of May, with a two-week break that allows our seminarians to properly observe Easter. The summer exam session runs throughout the month of June.